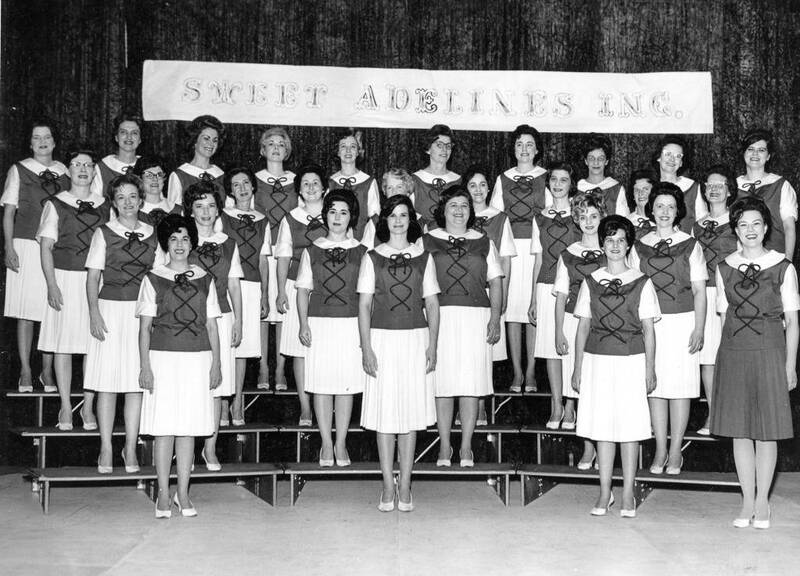 Sweet Adelines International was founded in 1945, fifteen years later area women joined the fun. The Baton Rouge Chorus was Chartered on September 30, 1960 with 27 members present. The founding members were: Anna Allen, Thelma Arbour, Eloise Averette, Elaine Blumstein, Gwen Bruton, Coralie Chronister, Yvonne DeForest, Ester de Vries, Zelma Engelhardt, Bobbye Farlow, Fran Gleason, Sharon Harris, Louise Laurie, Alma LeBlanc, Lucille Leonard, Kay McMurray, Ruth Means, Lois Mills, Eleanor Owen, Jean Place, Alma Risley, Toni Risley, Jane Rohwer, Mary Sargent, Laura Schoor, Jeannette Smith, Beverly Thomas. Jim Massey – Guest Director for 2 Region 10 Competitions. Paul Melancon – Director of the La Loisiane Chorus which merged with the Baton Rouge Chorus. Sharing the beautiful blend of a cappella barbershop harmony has fed the group since its inception. As with all Sweet Adeline choruses, annual competition is part of the fun and the challenge of our art form.